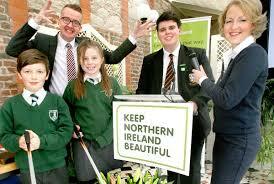 Keep Northern Ireland Beautiful works to make Northern Ireland a cleaner and better place in which to live. Education is a big part of the charity work whether it is informing people on the impact litter has on the countryside & beaches or tackling problems of graffiti. These are issues David is keen to play a role in. David has been working with KNIB on a number of their latest events and appeals and loves being a part of the team.